Is your heart and soul alignment an absolute must for you? If it is you may find yourself not fully putting yourself out there (yet), because you’re the type of person that doesn’t want to lift a finger until you’re absolutely crystal clear. Yet you or your product has all this potential for impact, but for some reason it’s not as visible as you’d like it to be in the world yet. So, you feel a bit stuck. You feel like you’re behind where you should be right now. 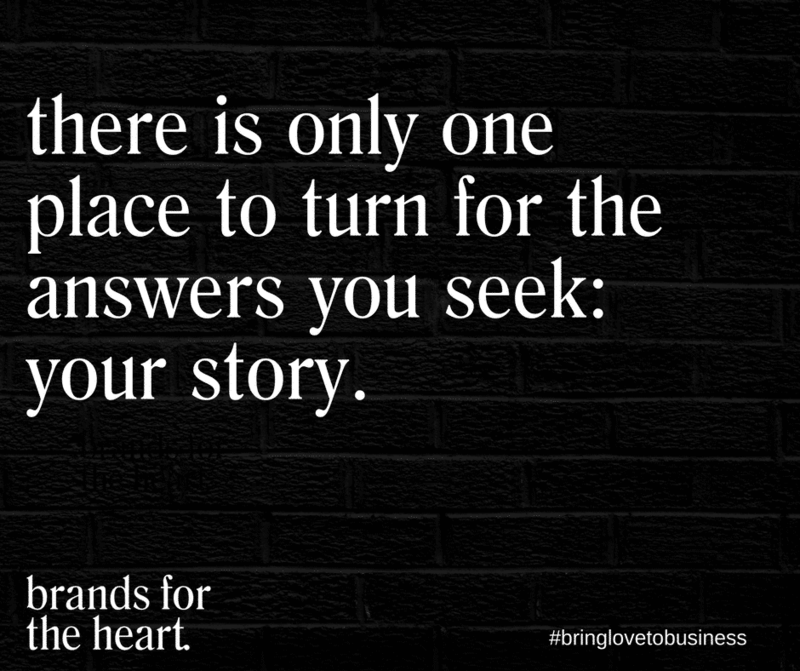 There is only one place to turn for the answers you seek: your story. What niche is right for your business? 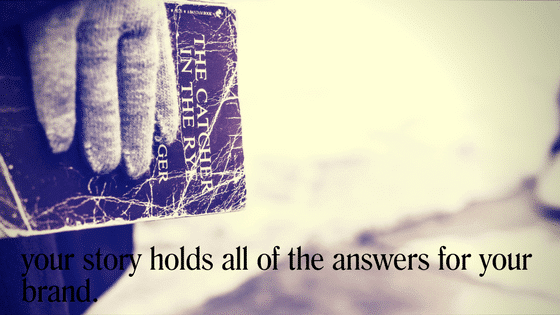 The answer is in your story. How do you connect your life’s purpose to your business? The answer is in your story. What is the right business name? The answer is in your story. It’s why a woman’s intuitive health coach who suffered from body shame as a child is on a mission to inspire 10,000,000 women to love their bodies. It’s why the guy who didn’t have an inspiring role model in his life as a child and therefore turned to athletes like Michael Jordan is starting his own athletic shoe brand to inspire the inner champion in men. These two stories were teary moments of truth and they landed with a profound “ah ha.” It wasn’t some step-by-step this or some formulaic that, it was the truth that existed in them always. The breakthroughs you seek are not out there, they are in you. You have everything you need right now in this moment. Your story is perfect, just the way it is. And if you think your story isn’t dramatic enough, or extreme enough… again, it’s perfect just the way it is. So if you absolutely want your work to be a reflection of your highest calling, all you have to do is reflect on your story and there will be a breadcrumb trail of signs pointing you in the direction towards all the answers to the questions you seek. It’s right there waiting for you to find it.